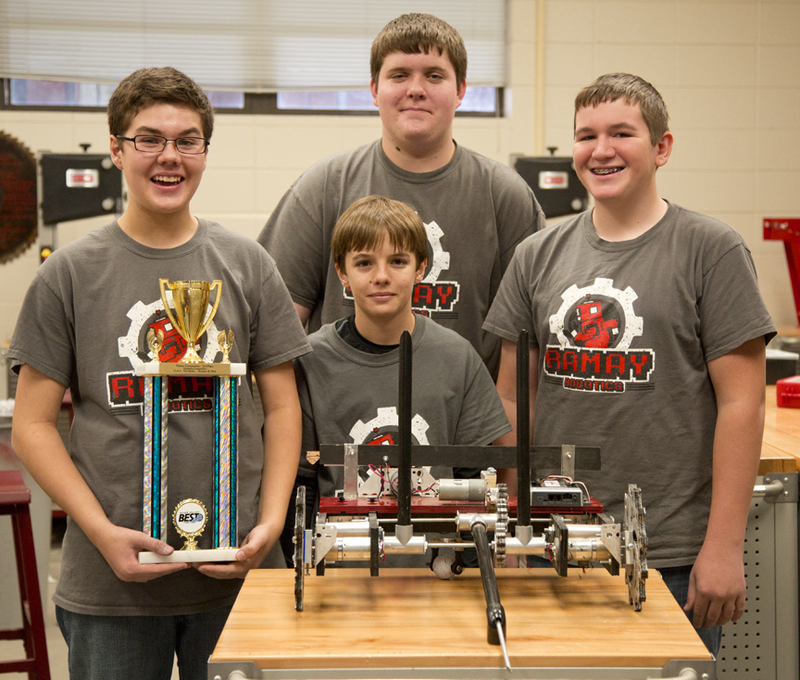 The Ramay Jr. High Robotics team will compete in the upcoming regional Regional BEST Robotics Championship at UA Fort Smith on December 5-6. The Ramay team will be one of 32 teams from 7 states in the competition. Team members include Joshua Blakely, Cody Cassat, James Fox (not pictured), Ben Hankins, and Lane Rouse. Team sponsor is Bethany Strasser, the 2014 Arkansas Technology & Engineering Teacher-of-the-Year.